Today I have a great difficulty in writing. I am not sure why. I have been thinking about balance a lot. For some reason I have been hearing this word quite often these days. It seems to be a word that we like to use a lot. It is the current fashionable buzz word. Perhaps because we all are just back from our summer holidays and we need to find a new rhythm, or maybe because there is so much changing at the moment in the world and our lives that it is not clear what we can expect. 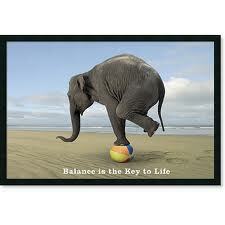 The interpretation of the word balance or even better, being in balance is talked about frequently. It seems that people are talking about the same subject, but when I listen closely I feel that they are talking about completely different things, without even noticing the difference! Is it true that we will be happy if we find our balance? I am not sure, because this implies that having balance will solve all our problems. But being out of balance might help us too, to go out of our comfort zones and try to find new solutions, perhaps new ways of approaching challenges in our lives. This way we will be building a better life for ourselves and our loved ones around us. Of course, it is nice to not have to constantly come up with new ideas and to work hard on building new paths. It is nice to have a time out just to recharge ourselves, so that new ideas are able to come in. For me personally, writing this out is helping me to let go of some of the constraints I had about writing this blog. I love to write this blog, I feel it is a great way to introduce myself, the way I think and also to introduce my tone of coaching. It demonstrates the way I would like to support my clients and cheer them on during their journey. On other hand, writing this is a big challenge too. It takes me out of my comfort zone completely. English is not my first language. What are people thinking of me while reading this blog? Does my writing make any sense? That little voice inside is constantly trying to ask these questions. I am not always able to fight this voice. Although, by putting the words out and sharing them with my community helps me get a new sense of balance. Now it is out here, it gives me the courage to make changes in my life as well. To see it written down in black and white, it either makes sense or not at all. So why give it so much thought. This attributes a completely different meaning to the word balance and at the same time it means the same. Whether we have balance or not, both give us opportunities to make positive changes in our lives.